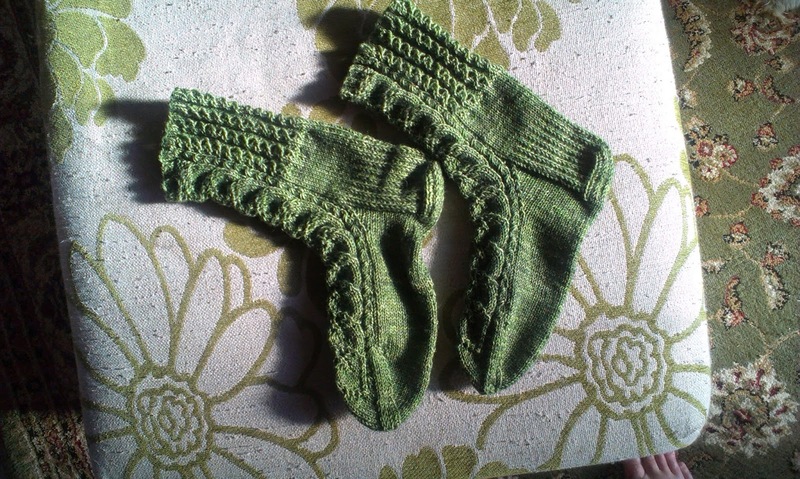 FayKnits: Socks, Library Display, Textile Fair and New Projects! Socks, Library Display, Textile Fair and New Projects! This is the beginning of the beautiful beaded shawl http://www.ravelry.com/patterns/library/snow-angel-4 Snow Angel by Boo Knits. 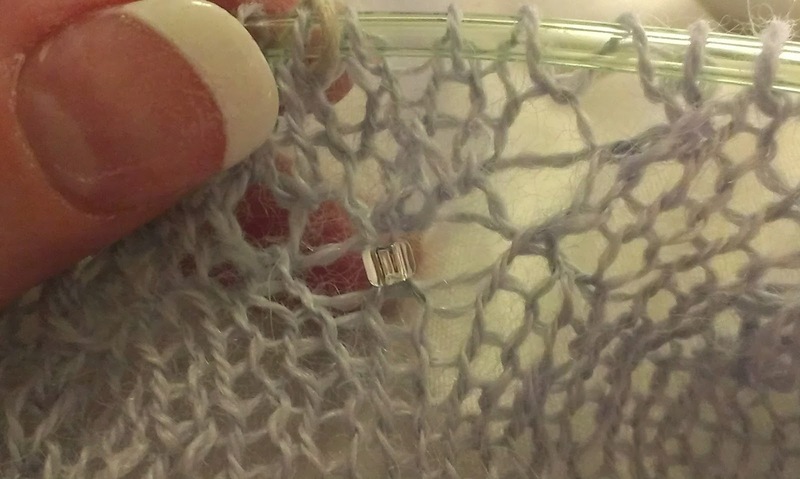 I'm placing the silver lined myuki beads on the misty blue alpaca and am up to the lace chart now and loving it. 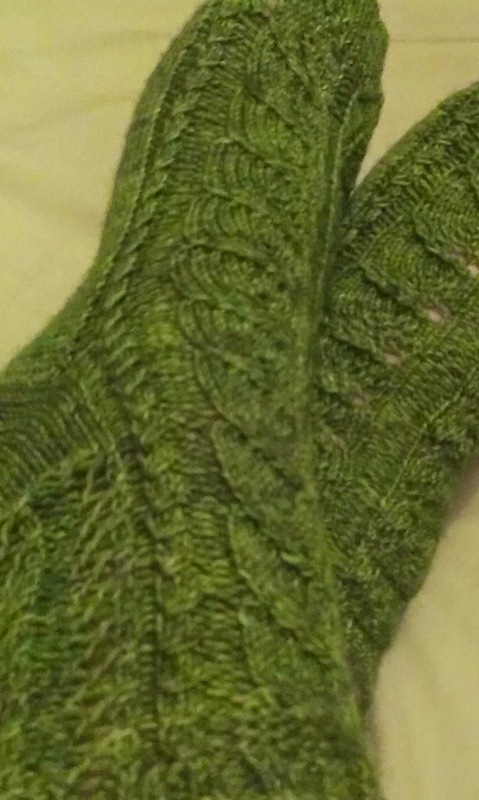 I finished Nancy Bush's Birch Sock shttp://www.ravelry.com/projects/FayKnits3/birch-leaf-socks from the book "Gathering of Lace"(Meg Swansen). They fit nice and snuggly. I finished them in perfect time as it is getting very chilly here in the mornings and evenings. Here is a picture of the knitting display I set up last week at our local library where my knitting group meets. I started the group last year, with just one or two ladies coming to learn to knit. Now it has grown to nearly twenty knitters and crocheters. I needed some help getting all the items in the window (arthritis) and I was really nervous setting it up as I wanted to label each item with the crafter's name. I made two boards with photos of other items the ladies have made that couldn't fit in the display. The librarians were very happy and impressed. Yesterday Mum and I went to the Textile Fair and had a blast! She went crazy and bought heaps of black velvet. One of my daughters, Hope was going to come too, but had a sore throat and missed out:( I bought gorgeous yarn from Waratah Fibres. It is 50% silk and 50% wool. I'm not sure what I'll make with it yet. 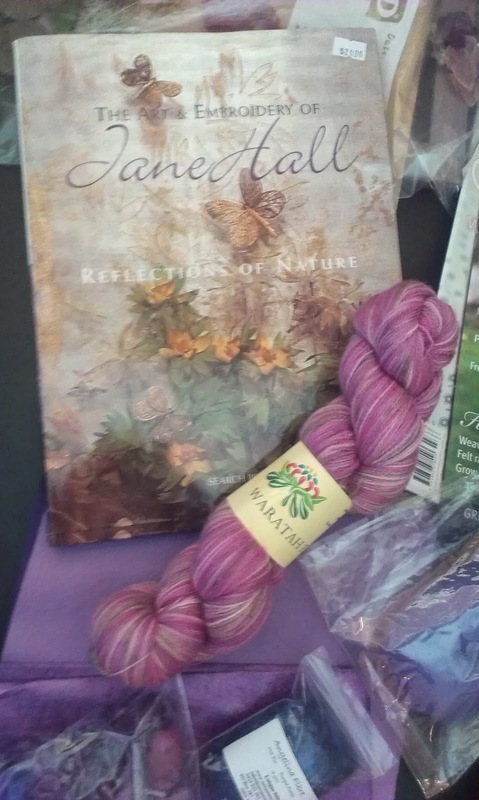 I also bought a fabulous book by Jane Hall "Reflections of Nature" about her wonderful artwork and embroidery. It was a bargain and is a beautiful book. I bought some silk threads and bits as mum and I have signed up to the embroiderer's guild. I also ordered a drop spindle and bought some lilac tops. I can't wait for the spindle to arrive! I think I'm going to love spinning on it. Finally, I started these gorgeous wrist warmers for daughter May. I think she'll love the colour and pattern. That's it. I've been quite busy really when I think about it. I think I'll get back to it then with some more knitting. Have a happy knitting week! Looks like you have been having lots and lots of fun. The display looks wonderful and so do all of your yarn purchases. I am sure all of the ladies just have a fabulous time when they get together and knit. 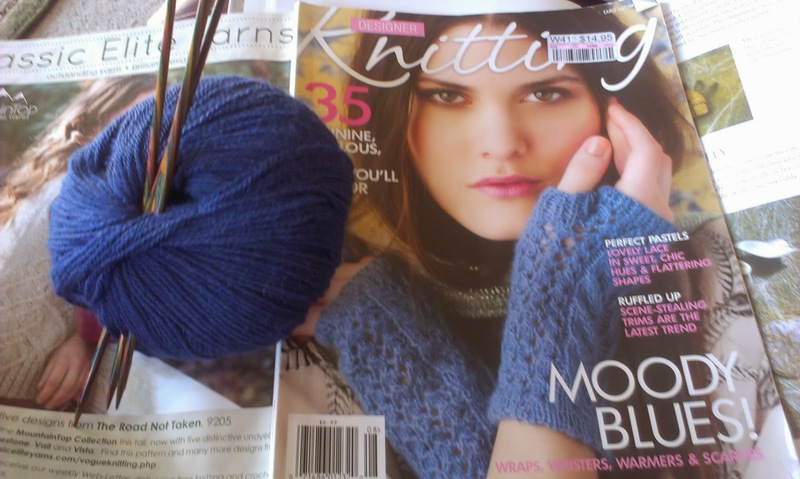 The mitts are such a pretty colour and that pattern will look lovely in it. 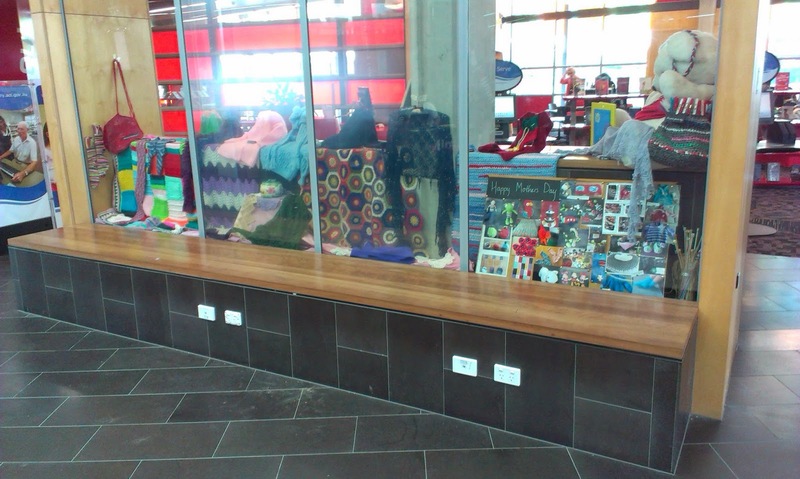 Your knitting display for the library looks very effective, too!